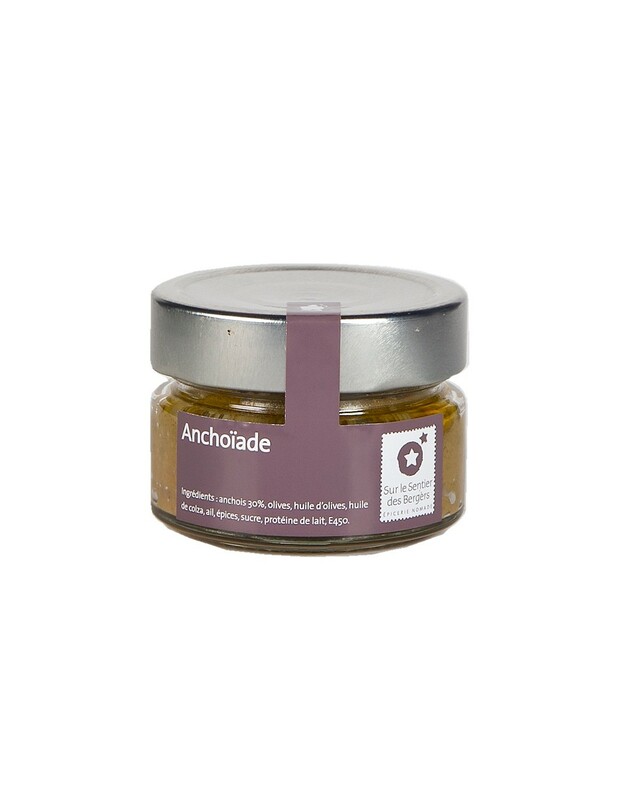 Throughout Provence, anchoïade (anchovy cream) is a popular starter, often used as a dip for a selection of raw vegetables. Served either hot or cold on toast as well as a delicious dip for raw vegetables. 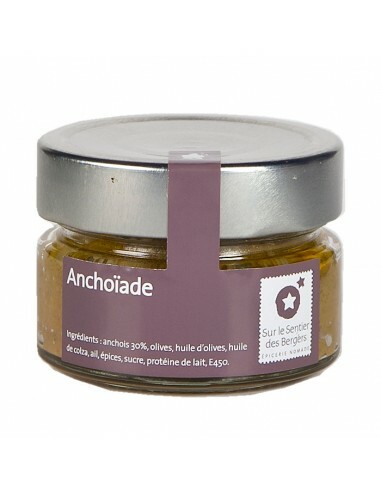 Anchovies (30%), olives, olive oil, rapeseed oil, garlic, spices, lactose, milk protein, stabilizers E450, E452, E451.